Documents from three states indicate that babies may be born alive after abortions more often then we might expect. Published data for 2015 shows that ten babies in just Florida, Minnesota, and Michigan were reported to have been born alive following an abortion attempt. The documents indicate that many more may have been born alive after abortions in previous years. A report from the State of Florida reveals that in 2015, at least four babies survived abortion attempts that year. The information comes from a report entitled “ITOP Report of Infants Born Alive, By County Where Terminations Occurred, Florida,” on file at the Agency for Health Care Administration. According to a spokesperson from the AHCA, ITOP stands for “Induced Termination of Pregnancy.” The published data (which only goes back to 2014) showed that three babies survived an abortion in Alachua County and one in Jackson County in 2015. That same year, 5,132 elective abortions were reportedly performed on women during the 13th to 24th week of pregnancy. What happened to the babies is unclear, as no additional information was available from the report. Florida law requires that “[a]n infant born alive during or immediately after an attempted abortion must be immediately transported and admitted to a hospital pursuant to s. 390.012(3)(c) or rules adopted thereunder.” The law also requires that any employee of a hospital, physician’s office, or an abortion clinic who is aware of a violation of the born-alive law report it. 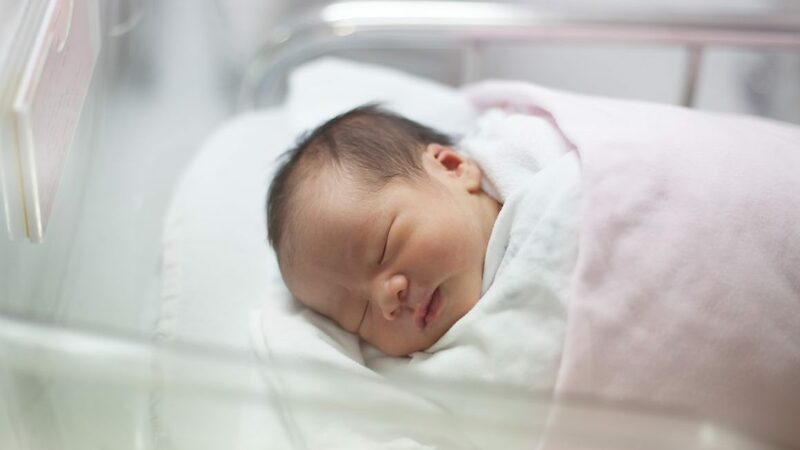 Based on data reviewed for this article, most of the cases of live births following an abortion were reported by a hospital rather than a clinic. But public reports show that abortion clinics have experienced the “dreaded complication” of live-birth abortions as well. Live Action News has detailedseveral instances. The mother told blogger Jill Stanek that the infant, named Baby Rowan, was delivered alive in the toilet. She then relayed to Stanek how she waited 11 minutes for help to arrive while clinic workers turned ambulance drivers away claiming the call was placed by a hysterical patient. The state of Minnesota also requires that abortion staff report whether any abortion resulted in a born-alive infant. In 2015, there were five born-alive incidents, according to a report of induced abortions presented to the legislature. The cases occurred in “two hospitals, included in Table 1.1 as ‘Independent Physicians,’” according to the report. When an abortion is performed after the twentieth week of pregnancy, a physician, other than the physician performing the abortion, shall be immediately accessible to take all reasonable measures consistent with good medical practice, including the compilation of appropriate medical records, to preserve the life and health of any born alive infant that is the result of the abortion. Sadly, none of the babies survived. They were instead left to die, based on their disabilities. A report entitled “Number of Reported Induced Abortions by Evidence of Life,” from the State of Michigan, indicates that in 2015, one baby survived an abortion attempt. A spokesperson with MDHHS said the term “present” in the report pictured below indicates that life was present in the baby, upon the complete expulsion or extraction from the mother. The reports are sent in anonymously, and MDHHS does not conduct any follow-up to determine what occurred or whether the child survived. Evidence of life is constituted by breathing, beating of the heart, pulsation of the umbilical cord or definite movement of voluntary muscles. A fetus showing such evidence of life must be reported as a live born, in which case BOTH AN ABORTION REPORT AND A CERTIFICATE OF LIVE BIRTH MUST BE FILED. 2008 – Out of 25,970 abortions, life was present in one baby, and one was not reported. 2009 – Out of 22,357 abortions, life was present in one baby. 2010 – Out of 23,307 abortions, life was present in one baby. and two were not reported. 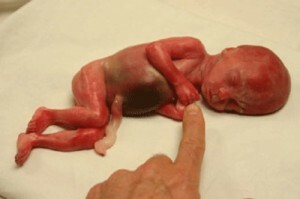 2011 – Out of 23,366 abortions, life was present in five babies, and seventeen were not reported. 2012 – Out of 23,230 abortions, life was present in one baby, and two were not reported. 2013 – Out of 26,120 abortions, life was present in two babies, and six were not reported. Clearly, babies are being born alive following an abortion, but Michigan is not following up on what abortionists or their staff are doing to these babies or on what is happening in the unreported cases. According to MDHHS, “not reported” means that neither yes nor no was checked on the required form. In 2002, the Federal Born Alive Infant Protection Act passed both Houses of Congress with bipartisan support, due in part to testimony from Stanek, formerly a labor and delivery nurse, who once held a born-alive infant in her arms after the baby survived an abortion performed at an Illinois hospital. This case is believed to be an outlier, as life-saving efforts dedicated to a baby who is born alive after an attempted abortion are rare. This entry was posted on April 18, 2018 at 3:49 am and is filed under Babies Born Alive, Dreaded Complication with tags 2015, Abortion, Babies Born Alive, Baby Rowan, born alive, Dreaded Complication, Florida, Induced Termination of Pregnancy, Infant Born Alive, ITOP, Michigan, Minnesota, Planned Parenthood. You can follow any responses to this entry through the RSS 2.0 feed. You can leave a response, or trackback from your own site.